Today, I am posting a quote about trusting God "no matter what." It is from my favorite devotional by Cynthia Heald, "Becoming a Woman Who Walks with God." The Scriptures do not guarantee that "all will be well" according to our human perspective. 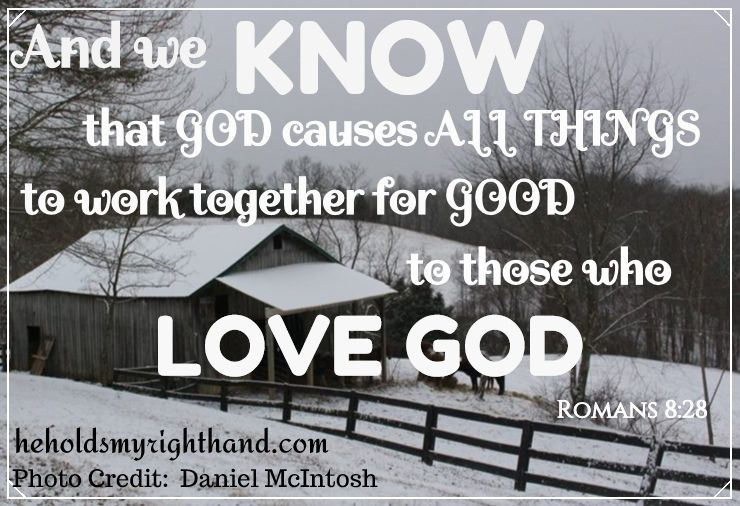 They do, however, promise that God will work all things for our good. As we learn to TRUST Him "no matter what," He develops within us a deeply rooted confidence in Him. This confidence enables us to lean on HIS understanding and HIS ways of working in our lives.